August 10, 2015–The response to Frank Bruni’s column yesterday on the public honors option has been strong and enthusiastic, but a bit of clarification is in order. First, the distinctions between honors colleges and honors programs are not always pronounced. 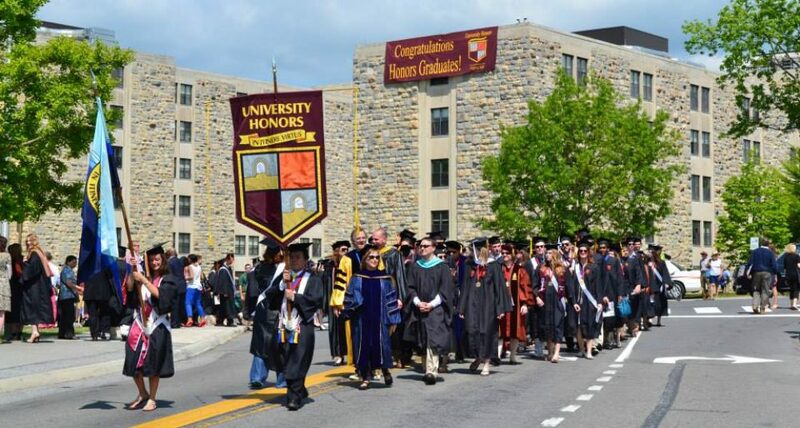 Many honors programs have been around longer than honors colleges and have, for various reasons, chosen to retain their original names and structure. Among these many prominent programs are the University of Michigan LS&A Honors Program, the UT Austin Plan II Honors Program, and the UVA Echols Scholars Program. All are rated at 5.0 “mortarboards” on a scale of 5.0. They join ASU Barrett Honors College, Penn State’s Schreyer Honors College, the South Carolina Honors College, and the Kansas University Honors Program to round out the group of seven colleges/programs rated 5.0. Our page Top Honors Programs also lists an additional 14 honors colleges and programs that received a 4.5 rating. Second, we do not rank programs or colleges (from now on we will use the generic term “programs”) because, after attempting to do so in 2012, I realized that ordinal rankings, especially with respect to honors programs, are more likely to exhibit artificial distinctions rather than reflect any qualitative differences. That is why we “rate” with the 5 mortarboard system and do not “rank” numerically.